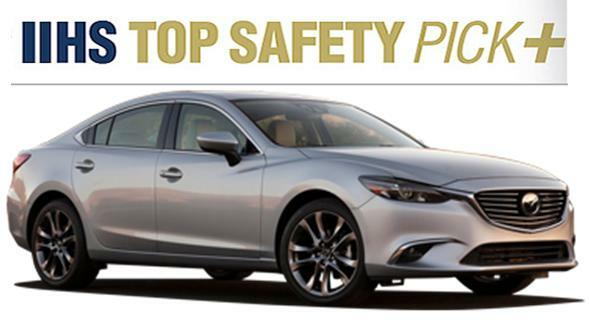 2016 Mazda6 Crash Test: The 2016 Mazda6 Sedan Once Again Earns the IIHS Top Safety Pick+ Award! The Insurance Institute for Highway Safety put the 2016 Mazda6 through its paces by hitting it hard. The small overlap crash test is arguably one of the best ways of finding out if a vehicle is safe or not. Unsurprisingly, hitting a barrier at 40 mph (64 km/h) is no biggie for the 2016 Mazda6. The IIHS awarded the mid-size sedan Top Safety Pick+ for scoring well overall for its crashworthiness. From the side impact crash test to the roof’s strength and protection offered by the head restraints and seats, the IIHS gave the Mazda model a big thumbs up!